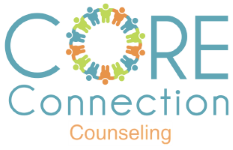 Naperville Family Counseling - Lisle Social Skills Groups | Colleen M. Hanson, LCSW, P.C. Tired of leaving messages and waiting for a call back? Please schedule a consult/intake phone call with us when it's convenient for you. We would love to connect. Here's a calendar link to make finding time easy. For general information please call our office at 630-524-4000, send an email to [email protected], or simply fill out the Contact Form below. Please indicate if you would like to be added to our email list for information about groups or other events by filling out the mailing list sign up form below.